As the exam fervor is spreading all around, the millennial generation is adopting mobile technology to gear up for the upcoming exam in 2019. And, it seems that they are enviably comfortable in using the revision apps. Let us see what attracts them towards the use of revision apps as compared to the paper preparation here. It is exam season now! And, all the students across India are getting switched to exam-preparation mode. And, surprisingly, many students are opting for revision apps to study. The days where students run for individual coaching, study period after school hours, group study, tuition notes xerox, crash courses, and more are getting diminished. It is the era of mobile. Students are promptly opting for online tests in the comfort zone of their homes. Lakhs of students are utilizing fruitful hours of 3 or 4 daily on several mobile apps available in the App store to take term-end revision, attend mock tests, and are busy mapping their strength and weaknesses. Moreover, the parents are supporting their children by providing unlimited wi-fi access to use the mobile at their convenience. What has instigated the class X students for this drastic changes in the learning mode? How the study apps are scoring high than the conventional/traditional paper learning? Let’s understand the revision apps and its influence on studies. The online test series, online practice tests, or the mock tests through study/revision apps are available for a fee and can be downloaded free in the App store. The apps provide innovative methodologies on learning for today’s millennial generation. In Maharashtra, the SSC Board students are dedicating their evening hours to practice tests using revision apps like Ezeetest. More than 1.5 lakh students use the Ezeetest app across the country and the number is increasing positively. “It’s useful to solve all question set covering the complete syllabus”-says Ms. Swati Tayde, a student using the app. A comparative table of revision apps vs paper preparation is presented below. By observing the comparison table, you might have understood the snippets of benefits to using the revision apps. Let us elaborate more here. The students get ample time to practice on each chapter and subject easily. All the necessary information could be stored in a single folder and retrieved easily whenever necessary. The apps provide personal space to gear up for the exam at their speed. This boosts the confidence level of the class X students. It helps you to understand the 3 C’s of an exam-prep app to achieve academic success. The 3 C’s of utilizing the revision app is a compelling experience to develop competence and be connected. By using the revision apps, you can attend the mock tests at your convenience without time constraints. As the mock tests are sectional and come with detailed analysis and reports, it is easy to move further with improvements. As the revision apps get updated on regular basis, the students get access to the latest question papers, solved sample papers, previous SSC Board exam papers, and so forth readily. Moreover, these apps save you money from buying exam prep books, guides, xerox copies, and other additional resources. In a nutshell, the use of revision apps gains an upper hand as compared to paper preparation in several ways. It is the evolving and revolutionary technique to explore and utilize. 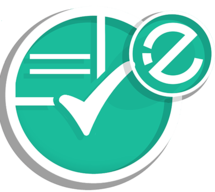 Try Ezeetest App now for your SSC Board Exam preparation. The Ezeetest app is designed for the 8th, 9th, and 10th standard Maharashtra Board students to help them in evaluating the learnings through online test series, mock tests, practice tests, sample test papers, and more.